via MIXTELA.COM, via @fabmass aka bÖsch. 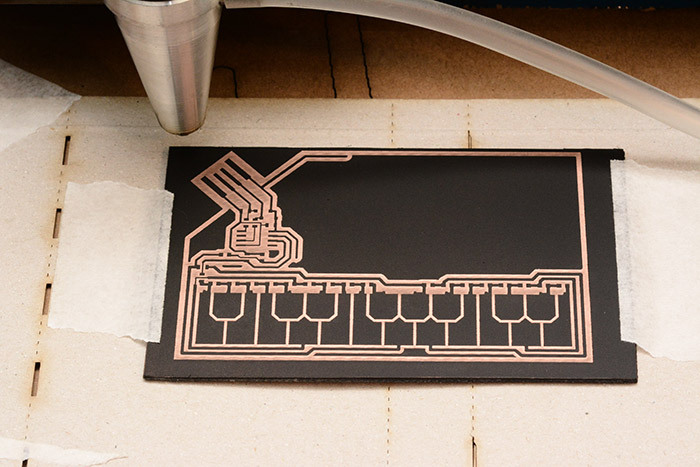 "Printed Circuit Boards as a business card are a great gimmick. I'd seen ones with USB ports etched into them, which enumerate as a keyboard and then type a person's name or load up their website. It's just about possible to build them cheap enough to hand out as a business card, at least if you're picky about who you give them to. A couple of years ago I took a stab at making one for myself, but I didn't want it to be pointless. I wanted it to do something useful! Or at least entertain someone for longer than a few seconds. I can't remember quite how I got the idea of making a MIDI-stylophone, but the idea was perfect. 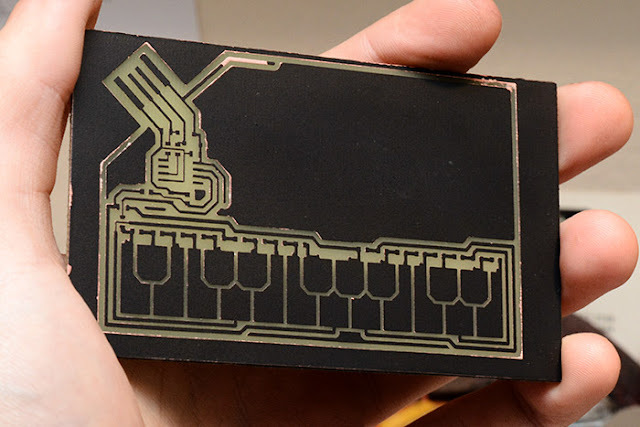 A working midi controller, that's unique enough in its playing characteristic to potentially give some value, while at the same time costing no more than the card would have done otherwise, since the keyboard is just a plated area on the PCB, as is true on the original stylophone..."